Zheng Kun has been working in Beijing for five months, but she still can’t get her parents in Harbin, Northeast China’s Heilongjiang province, to fully understand what her job title - "Olympic Volunteer Knowledge Promotion Officer"- is really about. 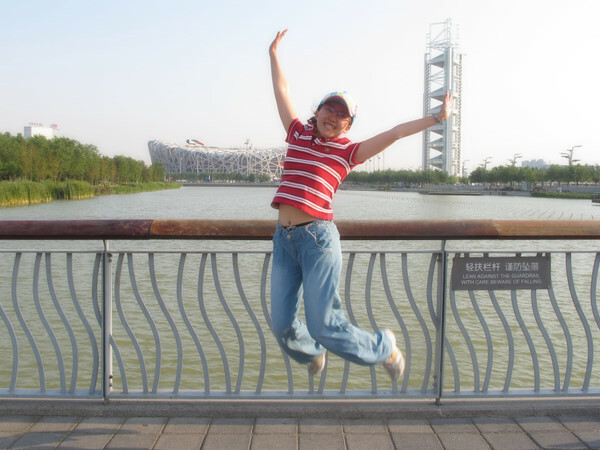 A member of the Olympic Volunteers Project, under the umbrella of UN Volunteers, her main tasks are to help transfer the heritage of Beijing 2008 Olympics, particularly sharing the experience of organizing and training volunteers for large-scale sports events. Zheng’s team sent experts in volunteering to work for the just-finished Asian Games in Guangzhou, South China. "The Beijing Olympics is over, but not the spirit," said Zheng, who was a volunteer selected from Heilongjiang province to work in Beijing in 2008. Zheng regarded the experience as a great honor and a beneficial test to her skills of coordination, management and communication. This experience also facilitated her application to work for the UN. Not complaining about her current salary or the fact that she has to share an apartment with two other people to pay the rent, she suggests that higher salary would be a key condition before changing jobs. "I am not in a rush, and I am not jealous. Considering my education and working background, all I want to do is to be practical, stay calm and make progress step by step. Anyway, the most important thing is to be happy."